Swedish experts teamed up to carry out what they believe is the first study of risk factors for ADHD in a national cohort of school children, based on 1.16 million children on the country's Prescribed Drug Register. "We identified 7,960 Swedish-born children, aged between six and 19, using a prescription for ADHD medication as our indicator of severe ADHD" explains lead author Professor Anders Hjern from the Centre for Health Equity Studies, a collaboration between the Karolinska Institutet and Stockholm University. "We then tracked their records through other registers, using the unique ten digit reference number all Swedish residents are given at birth, to determine a number of other factors." 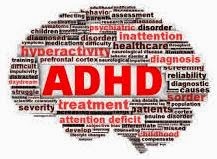 ADHD is a common, treatable childhood illness that can affect areas of the brain connected to problem solving, planning ahead, understanding others' actions and controlling impulses. The primary symptoms of the condition are hyperactivity, impulsivity and inattention. "Genes are also known to play an important role in the development of ADHD and studies of identical twins show that they are very likely to exhibit the same ADHD traits" says Professor Hjern, who carried out the study when he was based at the National Board of Health and Welfare. Key findings of the Swedish study include: Boys were three times more likely to be on ADHD medication than girls, with medication use highest in boys aged between 10 and 15. Women who had only received the most basic education were 130 per cent more likely to have a child on ADHD medication than women with university degrees. Children were 54 per cent more likely to be on ADHD medication if they came from a single parent family rather than having both parents at home. Coming from a family on welfare benefits increased the risk of ADHD medication by 135 per cent when compared with households not claiming benefits. There were no statistically significant differences between the effects that socioeconomic factors had on boys or girls in the study. When the researchers examined the total impact of the socioeconomic factors, they found that the impact was similar to that reported in twin studies. "Lack of time and money are more common in single parent families, as are lack of social support and family conflict, including separation, divorce and parental absence. "We believe that further research into ADHD should focus on the interaction between genes and environmental factors in order to determine the reasons why some children develop ADHD and how it could be prevented."